Improve your balance and strength. Reduce stress, improve stability and protect against falls. 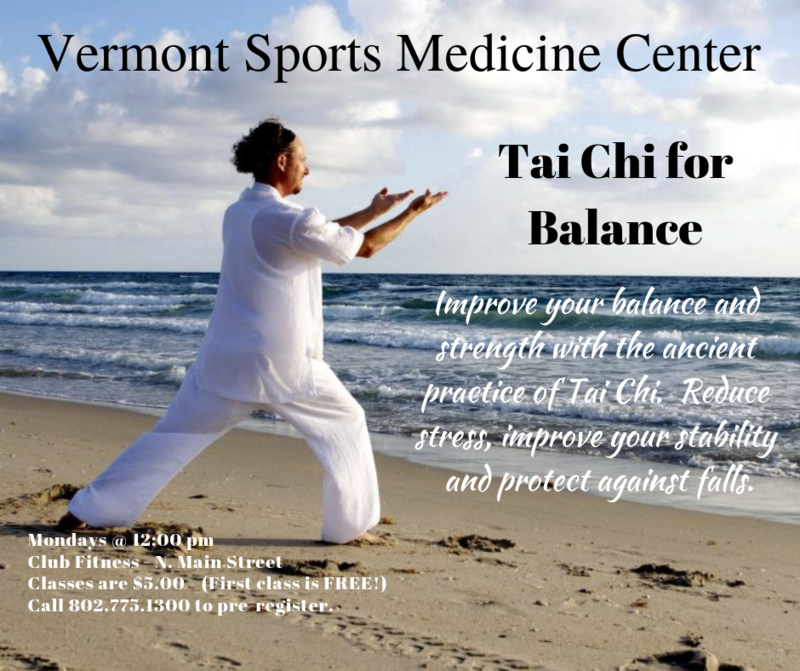 Improve your balance and strength with Fall Prevention Tai Chi! Reduce stress, improve stability, and protect against falls. Join VSMC every Mondays @ noon at Club Fitness 275 N Main St, Rutland. Class is $5 (first class is FREE!). Call VSMC @ 802.775.1300 with questions or to pre-register!